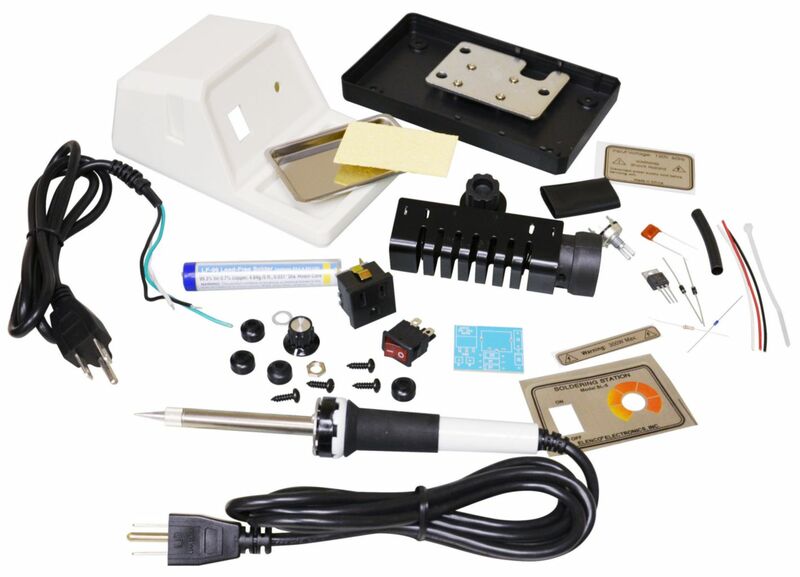 A solder station in kit form using a 40 watt soldering iron that is included to build the station. The 40 watt soldering iron then becomes part of the station. This unit includes a holder funnel for the iron; sponge pad for cleaning the tip and an on/off switch with indicator light.